...... license purchase. From concept to completion, you will be albe to Create It, Host It, and Own It. IHDP Digital Publishing Software are the only software you can own that incorporate vector graphic technology and a translation feature. This means that you will be able to have unlimited zoom with crystal clear text. We also have a drop down table of contents, and the ability to embed links even after the pdf has been processed. Never pay another service fee, or have to wait for any changes. You can create an unlimited number of publications, make an unlimited number of changes, whenever, and however you need to. 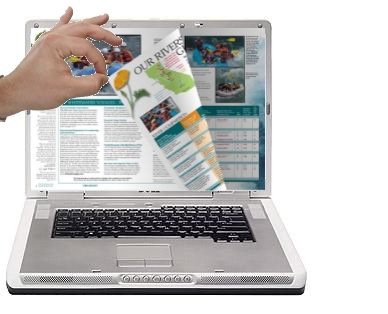 If you need to create online digital flip book publications, and that is certainly where the industry is heading, then In House Digital Publishing is the solution for you. Qweas is providing links to IHDP Digital Publishing Software 2.0 as a courtesy, and makes no representations regarding IHDP Digital Publishing Software or any other applications or any information related thereto. Any questions, complaints or claims regarding this application IHDP Digital Publishing Software 2.0 must be directed to the appropriate software vendor. You may click the publisher link of IHDP Digital Publishing Software on the top of this page to get more details about the vendor.